2758 points will be rewarded to you when you buy this item. The tennis look has never been so chic! 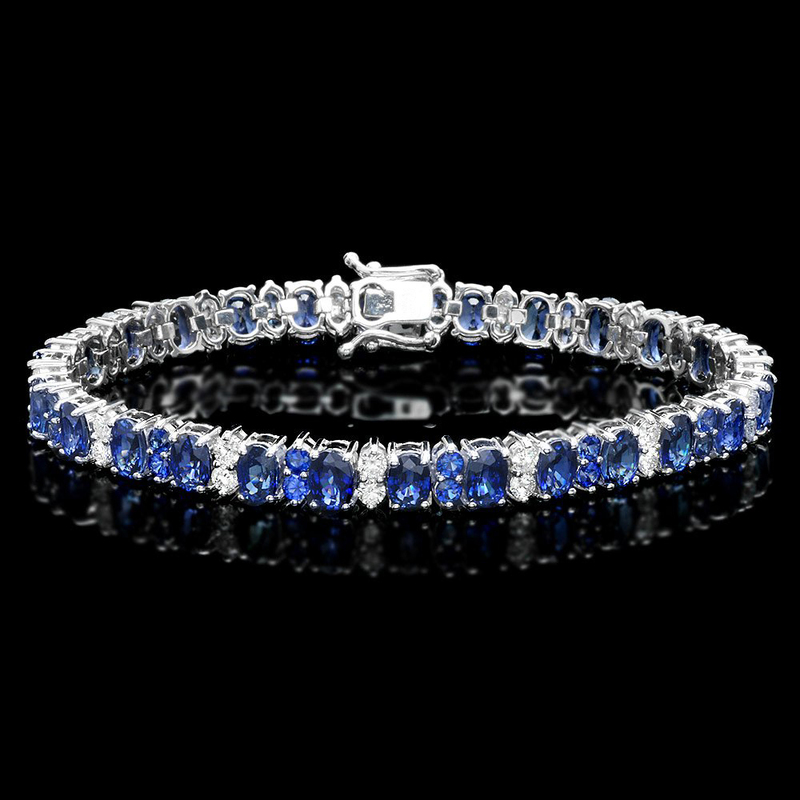 This gorgeous tennis bracelet dances with sparkling round brilliant-cut Diamond 1.5 CT and Blue sapphire 13.2 CT in an alternating pattern that we just love. The 7 - 7.50 inch gemstone tennis bracelet fastens with a tongue clasp.